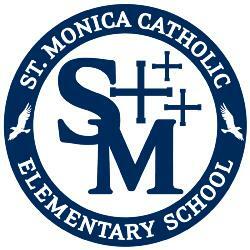 Welcome to the 2018 - 2019 school year at Saint Monica Catholic Elementary School (SMCES). The administration, faculty, and staff of your school are honored and humbled that you, the primary educators of your children, have chosen us to share this awesome responsibility with you. We proudly and respectfully enter into this collaborative ministry with you to educate, form, challenge, and inspire your children to be the very best of God’s creation. The updated SMCES Handbook is posted below. Please consult your child's teacher or your SMCES Administration with any further questions.